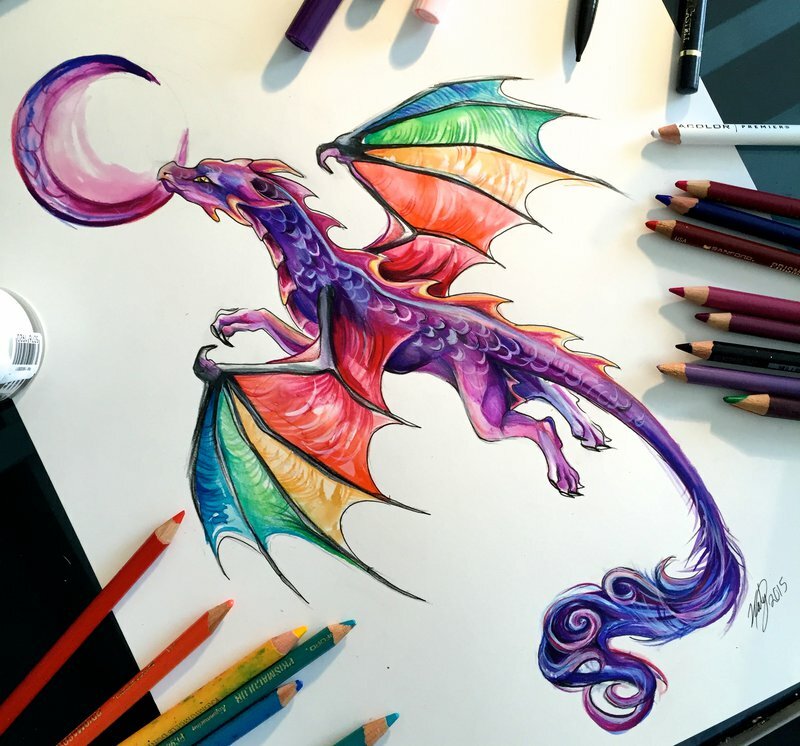 Dragon Artwork. . HD Wallpaper and background images in the ड्रॅगन्स club tagged: photo dragon rainbow moon. This ड्रॅगन्स fan art might contain मोबाइल फोनों के लिए, हास्य पुस्तक, मंगा, कार्टून, एनीमे, कॉमिक बुक, and manga.